Flora Upsaliensis enumerans plantas circa Upsaliam sponte crescentes. Enchiridion excursionibus studiosorum Upsaliensium accommodatum. Uppsala, Academy Typographorum, 1820. 8vo. 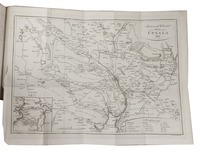 With a folding engraved map (29 x 39 cm) and its accompanying letterpress leaf (with the book's corrigenda on the reverse). 19th-century half tanned sheepskin, gold-tooled spine. 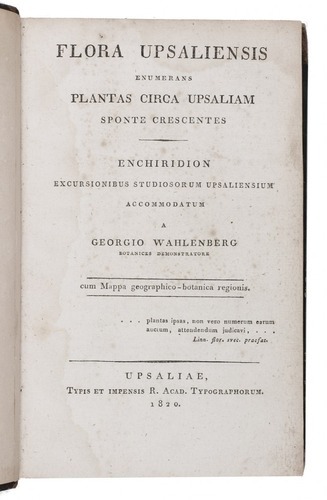 First edition of a flora of Uppsala, giving Latin description of the local flora found within approximately 20 kilometres of the city, with additional territorial information given on the map. In his time, George Wahlenberg (1780-1851), a Swedish botanist and professor at Uppsala, was the leading expert on Scandinavian mountain flora. Swedish provincial floras in the full sense of the word begin with his. 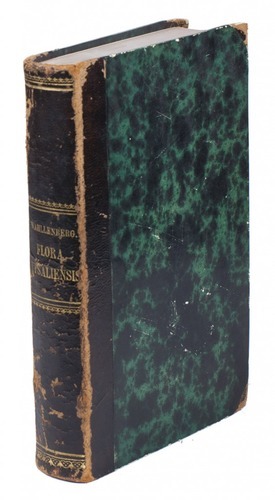 His understanding of botanical geography and inclusion of locality information in floras were innovating and Flora Upsaliensis is considered a masterpiece of the genre. With bookplates. Very good copy, with a faint waterstain and minor foxing in the title-page and one small tear. 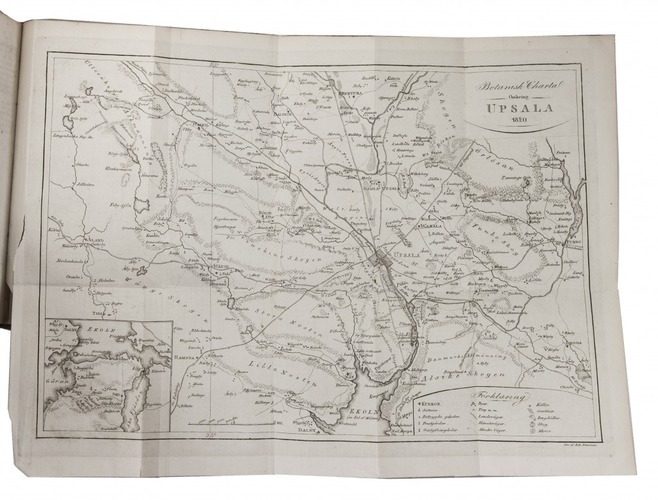 The leaf with notes to the map and with the corrigenda is bound after the title-page. Binding scuffed. Wahlenberg's masterpiece on Uppsala's flora. Krok, p. 743; Stafleu & Cowan 16521; Watsonia XXIV, pp. 331-336.